LOS ANGELES, Aug. 30 -- Joshua Homme's Rekords Rekords, through a partnership with Ipecac Recordings, will release three albums this fall: Alain Johannes' Spark (Oct. 5), Mini Mansions self-titled debut (Nov. 2) and a reissue of Queens of The Stone Age's self-titled debut with three additional songs (Nov. 26). An artist-driven label, Rekords Rekords' newly formed affiliation with Ipecac Recordings actually dates back to 2003 when Homme's ongoing Desert Sessions series released an installment on Ipecac, re-connecting Homme with longtime friends and Ipecac co-owners Mike Patton and Greg Werckman. Alain Johannes Spark (Oct. 5) — Johannes, co-founder of Eleven and collaborator with Queens of The Stone Age, Them Crooked Vultures, Chris Cornell, Mark Lanegan and Spinnerette, penned this heartfelt album in dedication to his late wife and Eleven partner Natasha Shneider. 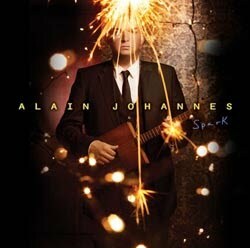 Spark showcases Johannes' impressive musical dexterity moving seamlessly from coveted rock guitarist to soulful songwriter. "Alain's record is the total embodiment of what the label stands for," explains Homme. "The war against endorsing mediocrity and the uncensored attempt to take a leap off the musical cliff. Spark is a stunning examination of figuring out what you do when someone's gone, and it's utterly breathtaking." Mini Mansions Mini Mansions (Nov. 2) — The Los Angeles based trio of Michael Shuman (Queens of The Stone Age), Zach Dawes and Tyler Parkford have spent the past eighteen months touring with a number of bands including The Dead Weather, Autolux, Them Crooked Vultures and Grizzly Bear, have released a limited edition EP and collectible 7" all while writing and recording their full-length debut. Recorded at Homme's Pink Duck Studios (and with Homme lending a hand on mixing several songs), The LA Weekly described the band's first single ("Monk") as "a mercurial slice of vintage-sounding psych-pop." 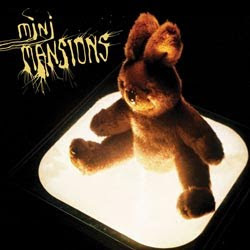 The Seattle Weekly said of the band, "Mini Mansions is the side project of Queens of The Stone Age bassist Michael Schuman, and as far as offshoots go, it ranks up there with Jack White's The Dead Weather." Queens of The Stone Age Queens of The Stone Age (Nov. 26) — A highly sought after, out of print album, the debut release from Queens of The Stone Age has been recreated by Homme as it was initially envisioned, with three tracks that were initially cut from the record reinstated. Queens of The Stone Age will be reissued on Black Friday as a 180 gram double-gatefold, colored vinyl release packaged with a CD version. The straight CD release arrives in-stores on Dec. 7.